Mastered for vinyl by Patrick W. Engel at TEMPLE OF DISHARMONY in September 2018. 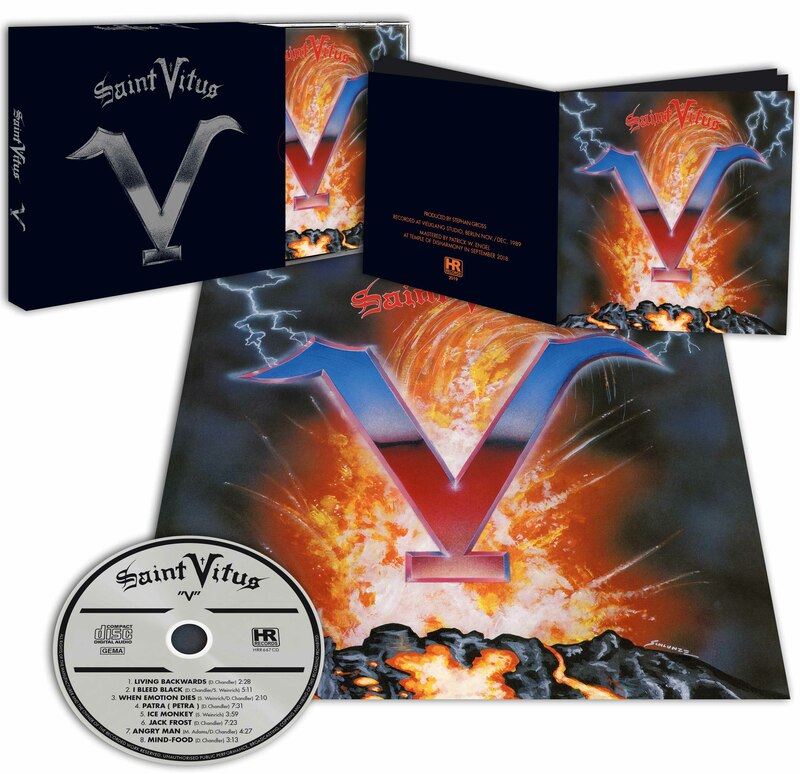 Following their self-titled debut album from 1984, »Hallow’s Victim« (1985), »Born Too Late« (1986) and »Mournful Cries« (1988), 1990’s »V«, as the title implies, was Saint Vitus´ fifth full-length studio record. Saint Vitus were originally formed in 1979 under the name Tyrant with Scott Reagers on vocals, Dave Chandler on guitar, Mark Adams on bass and the mighty Armando Acosta on drums. In 1981, they changed their name to Saint Vitus. The early Saint Vitus albums were released on punk label SST Records gaining the band a small cult following in North America. 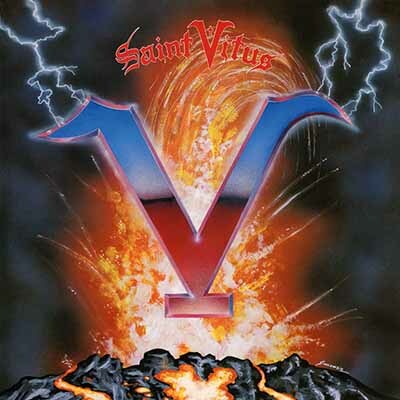 In Europe, however, only a handful of underground metalheads had been aware of Saint Vitus up until the mid to late 1980s. This all changed when Vitus signed a deal with Hellhound Records. Just like SST, Hellhound also had a punk background, their office being situated in the heart of Kreuzberg prior to the Berlin Wall coming down. During the 1990s, Hellhound became the most important label for doom metal in all of Europe – with Saint Vitus being their flagship band. »V« was recorded in November/December 1989 at Vielklang Studios in Berlin. It was an historic album, recorded at a historic time with the band witnessing the first phase of German re-unification first-hand. By 1990, Scott “Wino” Weinrich had long replaced Scott Reagers on vocals. Gone with him was the punk flavour of the first few records. 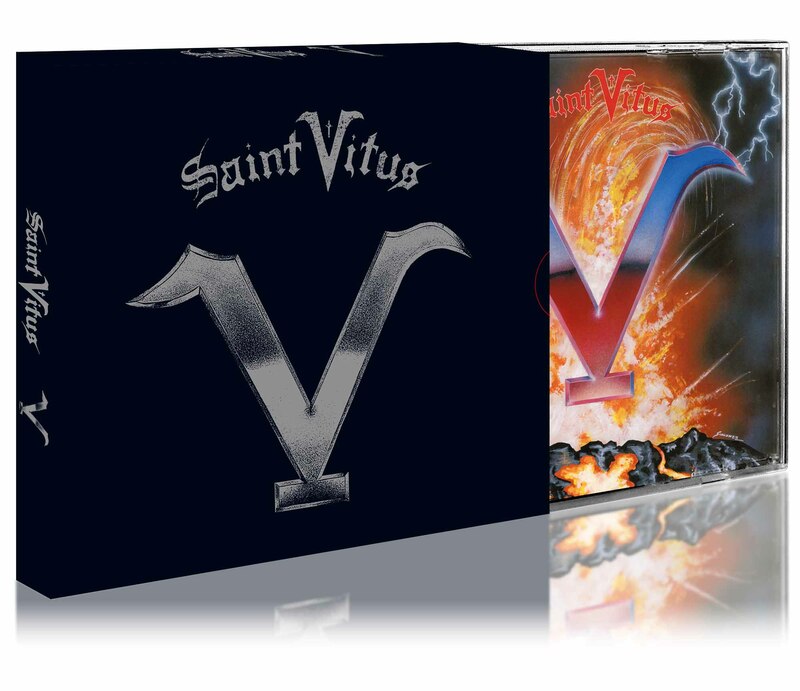 With »V« Saint Vitus started to develop into a more conventional doom metal direction. Songs like “Living Backwards”, “Patra (Petra)” and “Ice Monkey” soon became firm fan favourites with the band regularly playing live in Germany (especially Berlin) during the following years.